Call it the Arizona Diamondbacks effect. The team, whose downtown neighbors include the Phoenix Suns pro basketball team a few blocks away, wins the World Series in 2001. The stadium keeps fans coming, and more restaurants and shops, where people can buy pizza or pasta, purses or shirts, come. Developers build condos and apartments. Arizona State University and the University of Arizona College of Medicine open campuses on the northern edge of downtown. Housing development keeps coming. The Diamondbacks “started giving faith to folks that this was a place that others could be,” said Dan Klocke, vice president of development for Downtown Phoenix Inc., a community development and marketing group. 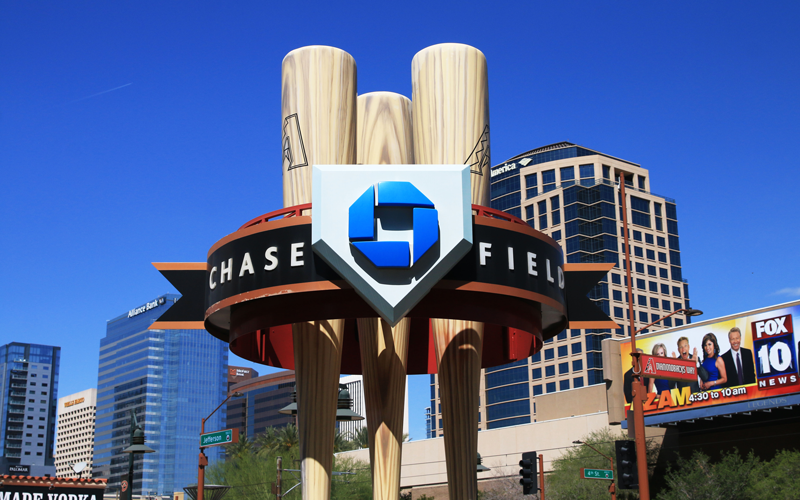 Then, in March, nearly two decades after they moved in, Diamondbacks executives announced they are unhappy with their landlords, Maricopa County, and threatened to move if $187 million in repairs and maintenance isn’t done to turn Chase Field into a “state of the art” facility. The Maricopa County Board of Supervisors said taxpayers will not foot the bill. 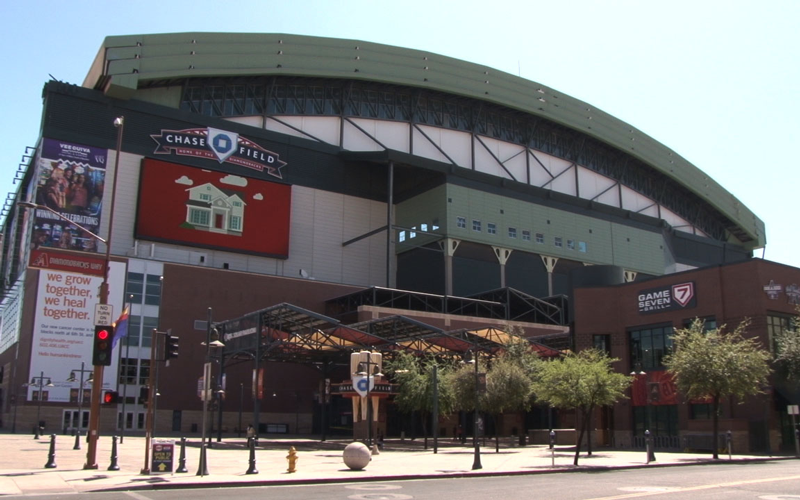 Business advocates who have celebrated the area’s development are now pondering what would happen to the downtown that the Diamondbacks helped to build if the team leaves. The team has a significant hold on downtown’s economic development. It draws about 25,000 fans to each of its 81 home games, according to ESPN. Clearly, a downtown without a major league baseball team and a vacant stadium would be painful, according to advocates. Arizona State University opened its downtown campus for nursing, journalism, honors students and other disciplines in 2006, bringing more than 11,000 students, along with faculty and support staff. Its numbers are expected to grow to 15,000 when the law school opens, anticipated for the 2016 fall semester. The University of Arizona College of Medicine, with more than 400 students, faculty and staff, and TGen, the genomics research center, also is central to the area. More people are living downtown in condos and apartments, according to the downtown group’s website. Since 2000, 4,371 residential units have been built and another 3,257 units are under construction, the website said. Roosevelt Point and other apartment complexes spurred restaurants and other businesses near the downtown campus. Developer Alvaro Sande is overseeing en Hance Park Condominiums being built near the ASU campus. Hotels also have added to the mix, with three new hotels added in recent years to other longtime downtown facilities. Event destinations from sports to children to family-driven venues add to the weight of downtown Phoenix, Klocke said. The CityScape area of restaurants and stores, Herberger Theater Center, Arizona Science Center and Talking Stick Arena, the home of the Phoenix Suns (although there has been talk of them possibly leaving as well) are among things to do for those who live in the area and visitors. Also, more than 60 restaurants have been added to downtown since 2008, the website said.